Post: Gaurav Akrani. Date: 2/11/2012. No Comments. Label: Finance. 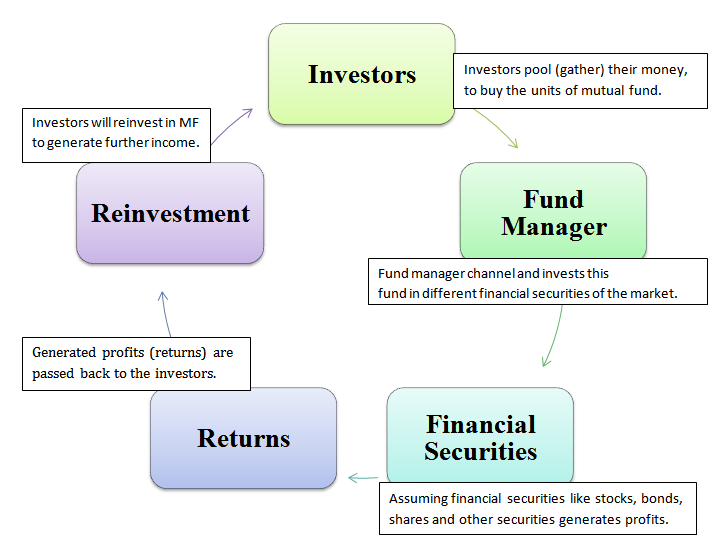 The meaning of mutual fund investment is explained in this article. Now let's discuss and understand above points. Mutual means to have a reciprocal relationship. This relationship is between two or more individuals and/or entities on some agreed grounds, i.e. terms and conditions of actions (agreement) that are expected to be either followed, executed, adhered or delivered by parties involved in it. Any such actions must be taken in accordance with terms and conditions as specified or mentioned or stipulated in that agreement. Fund refers to either a sum of money or similar other valuables that are easily available for use (funding) as and when required. SIP is an abbreviation of Systematic Investment Plan. It is a financial strategy in which a fixed amount of installment (money) is invested periodically (regularly) in a scheme that is pre-defined. It is a vehicle which pools the contribution made by the investors to an earmarked scheme. Earmarked scheme is designed to meet a specified goal or purpose. "Mutual Fund is a collective fund that belongs to and made available by those interested investors who opt for (choose) a Systematic Investment Plan (SIP)." 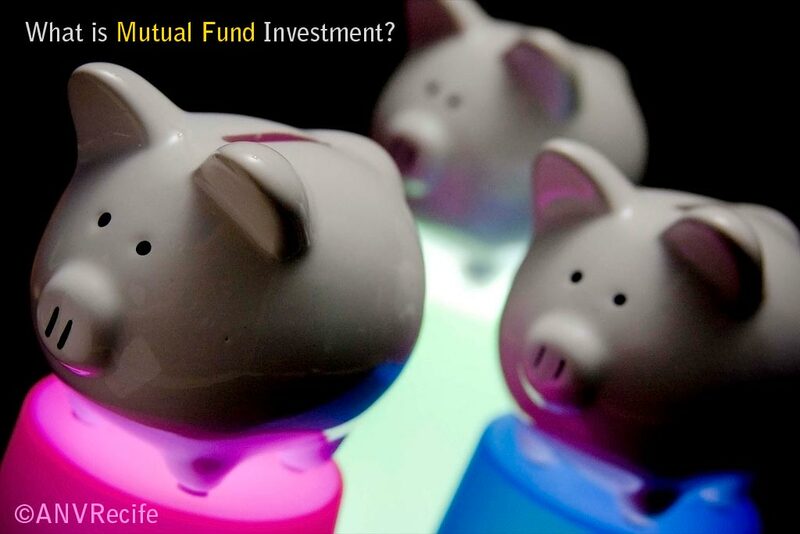 With respect to the above stated definition of a mutual fund, we see to it that MF is a collective (accumulated) fund of those investors who are looking for Systematic Investment Plan (SIP). Once such a fund is accumulated, it is then channelized and invested in stocks, bonds, shares, short-term money market instruments and other securities. This fund is supervised and managed under the guidance of a qualified and experienced finance professional. The profits generated from such a fund (MF) are later distributed among its investors. These earned profits (returns) on mutual funds are finally distributed among its investors based on their individual contribution made in the earmarked scheme. Please click on the following diagram of mutual fund to get a zoomed preview of the stages (steps) involved in its working. 7. How a mutual fund works? Now let's understand the flow, functioning or working of a mutual fund by taking reference of a cyclic diagram given above. In short, let's figure out, how a mutual fund works? While referring points given below try synchronizing your reading with the above-mentioned diagram of mutual fund. A Mutual Fund (MF) acts as a link that allows interested investors to pool (gather) their money to buy the units of mutual funds. The funds are contributed by the investors through opting a pre-defined Systematic Investment Plan (SIP). This fund is then supervised, managed and led by a fund manager who is appointed by a mutual fund organization. The fund manager uses his expertise to channel and invest these collective funds in different financial securities of the market. Financial securities include; stocks, bonds, shares, short-term money market instruments and other securities. Now let's assume that investments made in these securities have generated profits. These generated profits also called as returns and made from financial securities are afterwards passed back to the investors. These profits or returns are distributed to the investors only after charging (deducting) the managerial and administrative expenses. After receiving profits, investors may decide to continue their investment in mutual fund. This is known as reinvestment. The main objective of reinvestment is to generate further income from the units of the MF. Thus, after discussing above crucial points we can conclude that mutual fund can be considered as one of the best available investment options as compared to other alternatives. Finally, one must also note that mutual funds are cost efficient, less risky and easy to invest.